As couples look for ways to make their day as memorable and personal as possible, there is a trend to look further back: to the Celts and further. 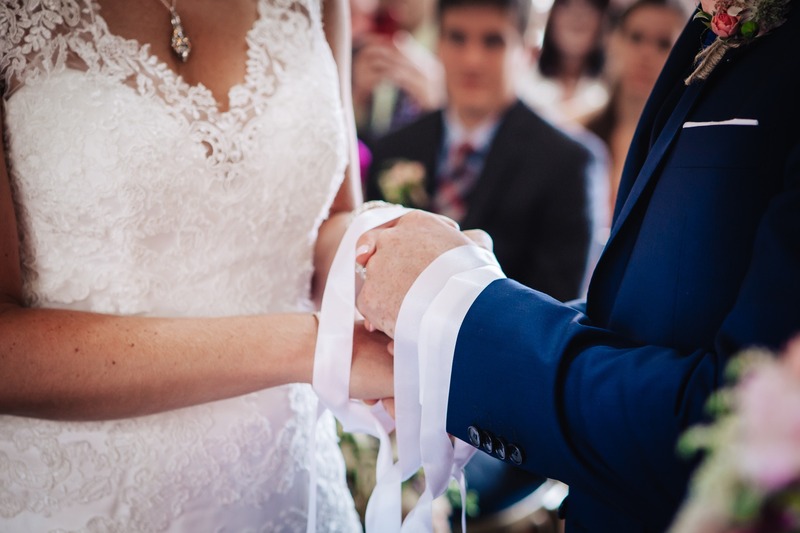 One such tradition which is a really lovely one is hand tying, whereby the couple’s hands are loosely tied together with ribbons to symbolize their agreement to spend their lives together. Hence the expression: ‘Tying the knot’. Louis Quirke, from Yes I Do Ceremonies, recently presided over a wedding I was organizing and it was he who had suggested this tradition of using ribbons. The couple loved the idea, and in the end we asked both mothers to help with the ribbons. It was beautiful and a perfect way of bringing family members into the ceremony.